into a bigger pan to cool/harden (I used an 8x8 baking pan). I think with a thinner layer of it, it would be easier to scoop/scrape into balls and I wouldn't end up using my hands to roll them. 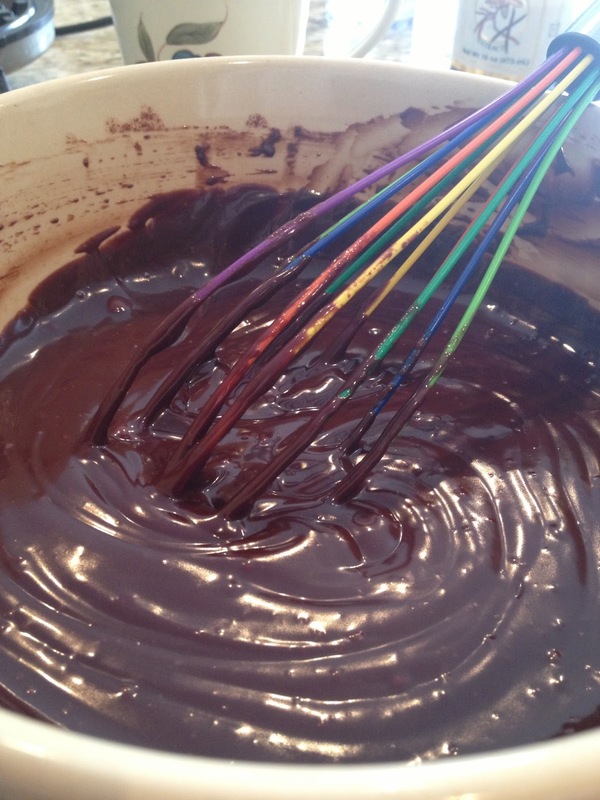 Hands aren't the best tool for ganache, it melts SO quickly. This article was in the December 2012 issue of Food Network Magazine. I think I'll try more combinations since they're so easy. 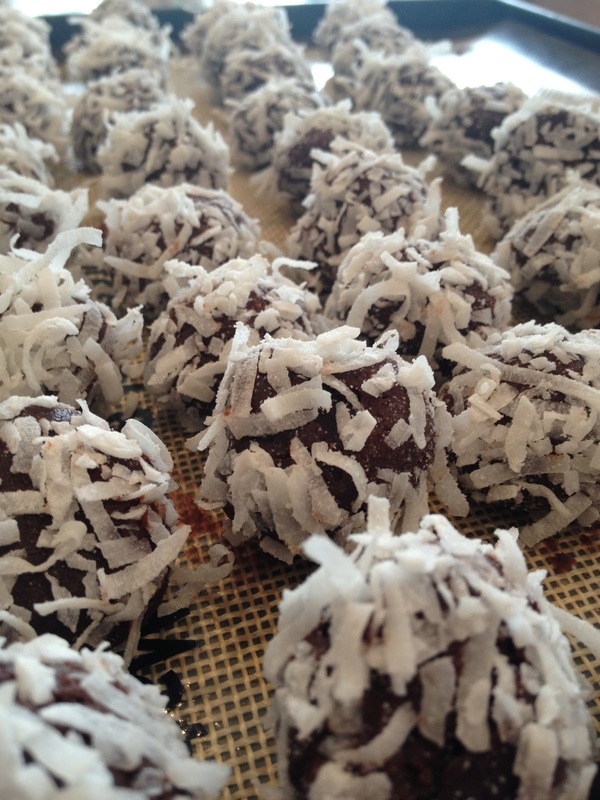 TGIP Rating--Cherry Chocolate Truffles with Coconut--KEEPER. Delicious and easy!